Simple construction and minimal styling elevates the glass detail of the Glacial bath bar. 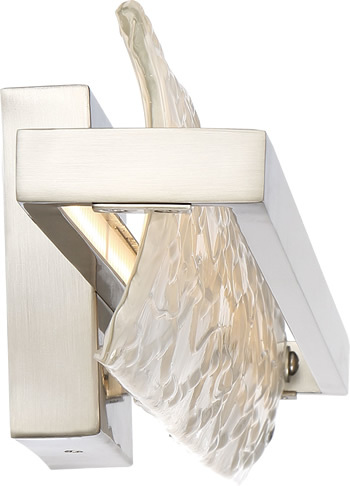 A wonderful addition to Quoizel s Platinum Collection it features a brushed nickel finish on the base and straight bar across the front center of the fixture. The thick clear glass gives the impression of ice melting and is sandblasted to reduce glare. 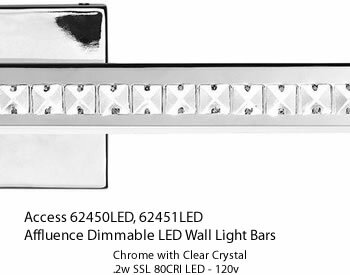 Overall Height 3.5" Ext 2.75"
The Affluence Collection from Access features sparkling clear crystals in brilliant chrome in modern high-functioning dimmable LED lighting. 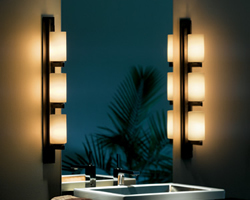 The collection includes Wall Light Bars in two sizes are rated for Damp location, for use in a bath or other setting. 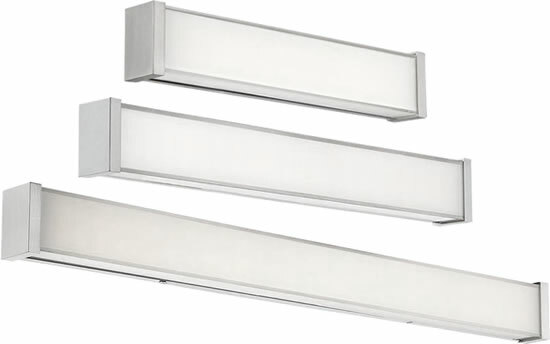 The linear pendant is ideal for a kitchen bar or office setting. Ring pendants in two sizes and a double ring chandelier pendant complete the Collection. 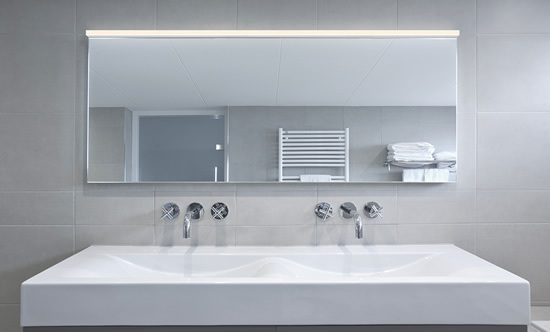 Sleek understated elegance in a unique format perfect for narrow bath applications and niches. 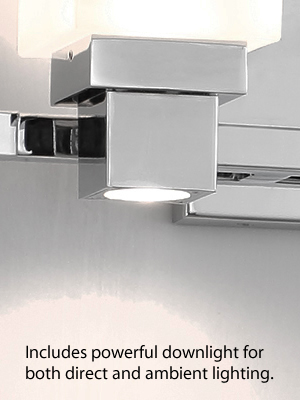 Utilizing proprietary LED technology, the bath light operates without a driver or transformer and dims beautifully with an ELV dimmer. Cool contemporary Brushed Nickel and Chrome finishes. 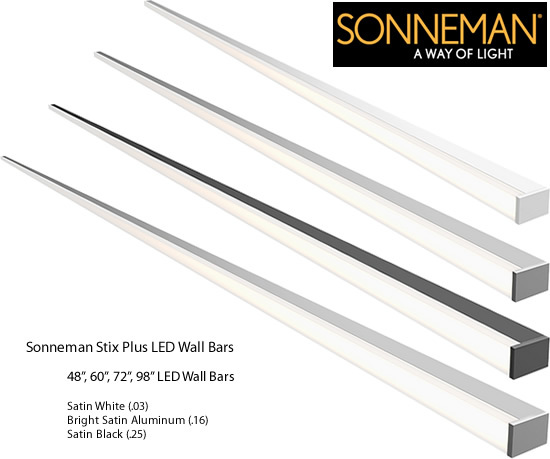 Height 0.75" x Width 49" x Extension 1"
Height 0.75" x Width 60.75" x Extension 1"
Height 0.75" x Width 72" x Extension 1"
Height 0.75" x Width 98.5" x Extension 1"
LED Stix Plus LED illumination from the most minimal geometric profile achieves the Modernist architectural ideal of "Less is more." 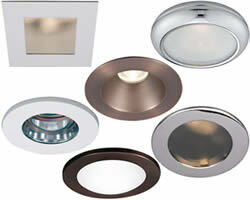 Includes downlight. Ideal for shaving or putting on makeup, providing both direct and ambient lighting. Line takes edge-lit LED technology inside a thin rotary panel to softly provide uniform illumination for flattering facial rendering. The rotating panel can be tilted for direct light in the daytime or indirect light at night. 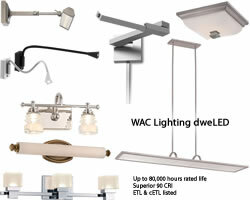 Offered in 2700K and 3000K with variety of related products to complement room interiors. Mouth blown and acid etched 3-layer glass combined with casted and plated hardware and proprietary LED technology designed for powerful lumen output and excellent color rendering. 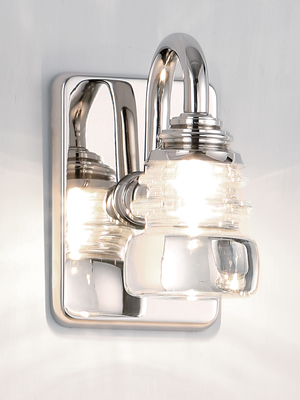 A fit and finish to complement today's bath hardware and traditional lighting finishes. Handsome traditional styling upgraded with modern LED technology make for a beautiful light, with energy savings and zero-maintenance. 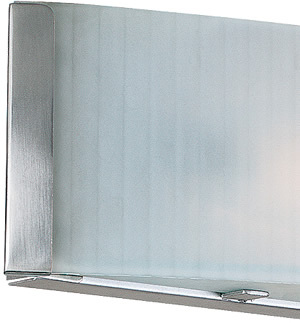 Etched blown glass with soft square edges illuminates with unparalleled uniformity and efficacy. Cast metal decorative transitional end caps and matching rectangular back plate complete the masculine design. 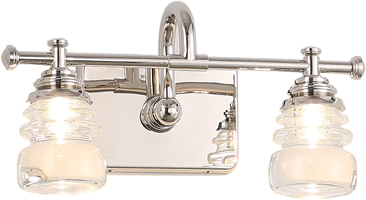 Four designer finishes available to complement popular bath hardware and art frames. Lamp: 2-Light x 8w LED Module Lm 1050 Kelvin 3000 200"
Height 21.1" x Length 8" x Extension 4.5"
6.1" x 4.5" x 7.2"
6.1" x 14.1" x 7.4"
23.63" x 6.13" x 7.38"
The look of vintage telegraph glass insulators from the 1850's combined with the latest LED technology. These glass insulators were used for telegraph, telephone and electrical wires. Today people everywhere collect antique glass insulators. These reproductions are ETL & CETL listed for damp locations. Three configurations available for a myriad of residential and commercial applications. 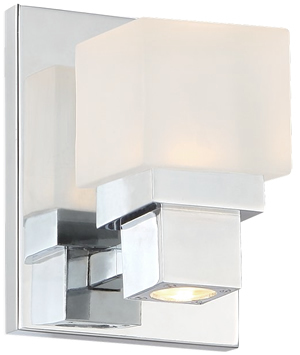 Perfect for modern bathrooms, as well as hallways, entryways and foyers. Etc. and cell damp location listed 60,000 hours rated life, high 90 CRI, color temp: 3000K. 277V available (special order) 60,000 hours rated life smooth and continuous Elva dimming, driver located in J box. Height 4.75" x Length 12.5" x Extension 3.5"
Height 4.75" x Length 24.5" x Extension 4.25"
Height 4.75" x Length 32" x Extension 5"
The uniform cylinder transitions from cased etched opal glass to perfectly plated metal seamlessly. 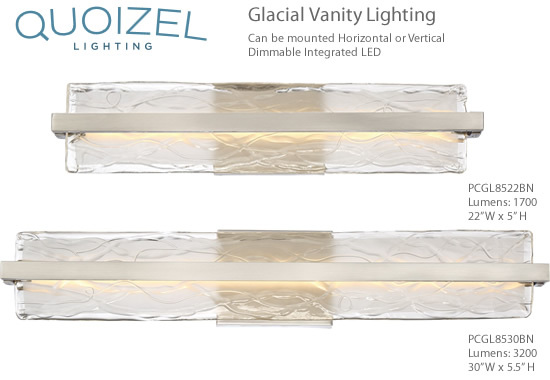 Wall mounted vertically on either side of a mirror or place one horizontally above for flattering diffuse illumination.